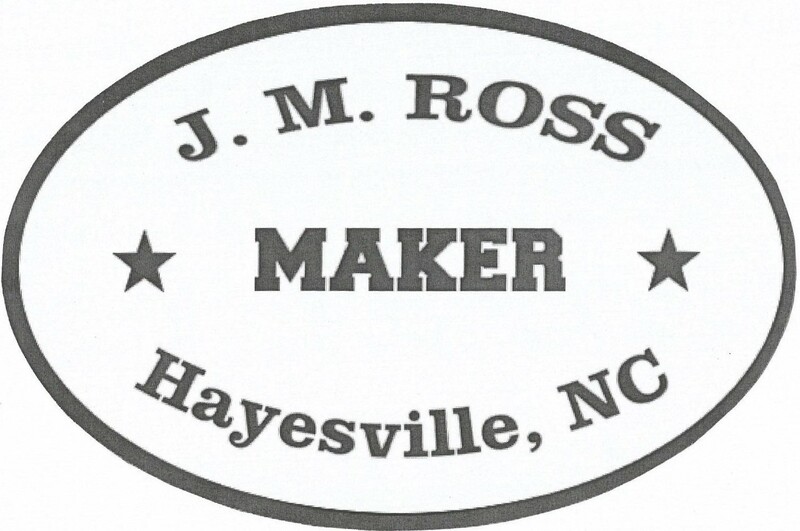 JML border styles are often based on tooling as seen in researching old west photos and gear. This tooling is not commonly seen on most current competition shooting rigs and is more common with Old West period holsters and we have given them unique names. 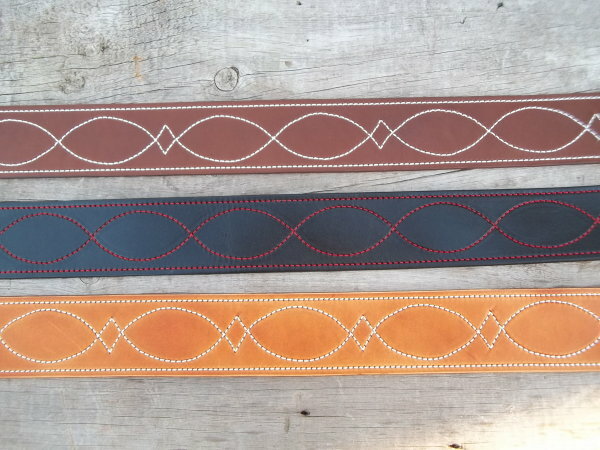 We also offer several border styles that are more contemporary and may match other makers gear. 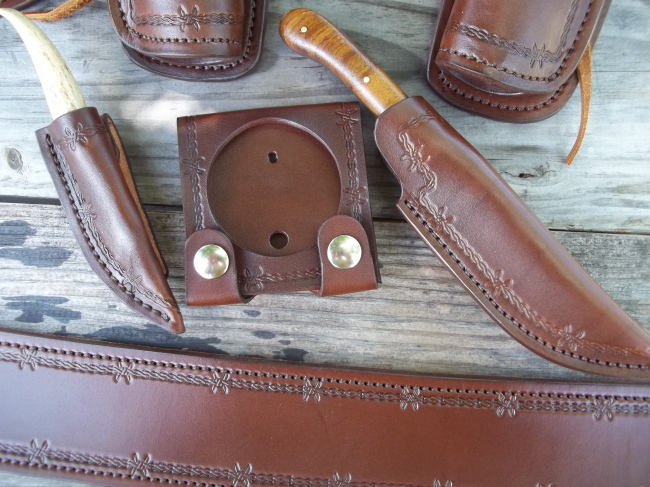 Standard Border Tooling is traditional styling and commonly used by many holster makers. Many patterns will match gear a shooter may already have and compliment other makers. Numbers 1, 3, and 4 are completed with antique tools we were lucky enough to have passed on to us. 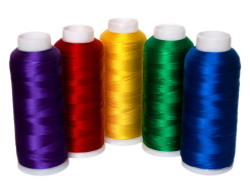 Thread color can add to your personal statement. We use premium quality leather oil dyes on all our products and acrylic sealers to protect them. Each piece of leather will hold color in various shades and there is no exact formula to produce the same shade every time. Sunlight and use will also change the color, and through use many shooters obtain an aged patina that only comes with time. We will attempt to match any color for a customer when requested to go with existing gear or a desired look. We have matched many other maker's gear to compliment our customer's shooting gear. The photos and examples are labeled to display the color and tooling used on each piece. This is also why we choose to display high quality photos. Natural, no dye, sealed and will develop natural saddle tan over time. Saddle tan – this is a no dye oil finish that will be a light tone that develops into a honey color. Rigs can be made Two Tone for a special look as well, with the billets, straps and loops in contrasting color. We also offer a "Shadow Finish" that can take the two tone effect a step further for a true custom look. This technique will blend one color into the next around the edges of the gun rig. You will see some colors listed that were custom made or being tried for the first time. There is no extra charge for these. They are newer and we do not have many examples or they were custom requests. We invite you to contact us with any special idea you may have in mind. 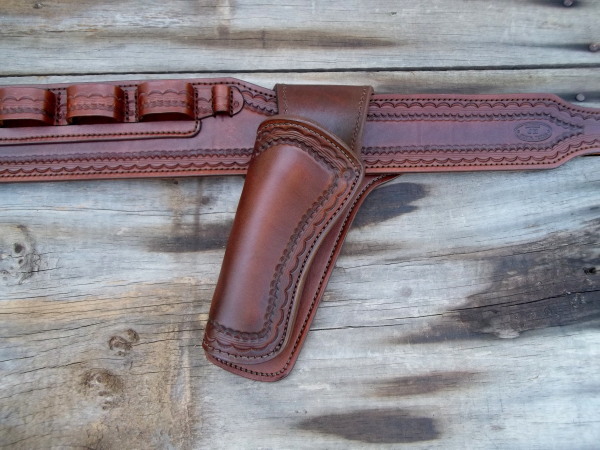 There is also the option of thread color when ordering a custom holster or rig. The thread can be blended to the leather color, or contrast for a unique appearance. There are several colors available and there is no extra charge for this custom touch. Thread is in stock colors of brown, tan, black, red, and natural. Others may be available if you have some special look in mind. 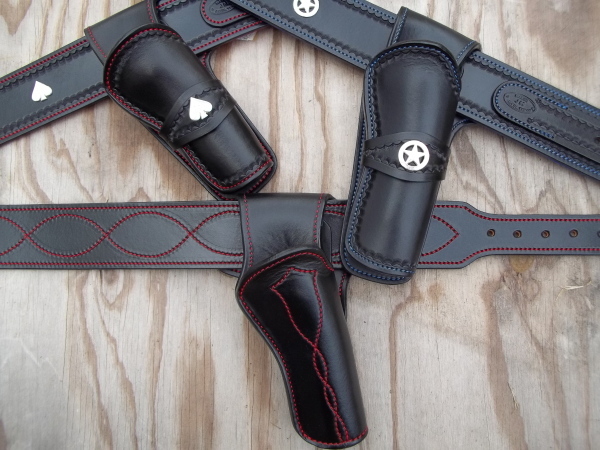 All holsters can have hammer ties added to them at no additional charge. Our standard hammer tie is the twist braid shown, but we can also install a standard latigo loop if preferred. 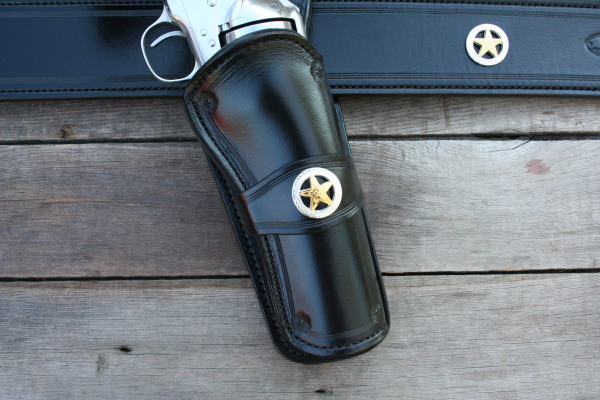 We do not punch holes in our holsters and these ties can be removed or installed easily. All belts can have just about any buckle style if we can locate a source. Our standard buckle is a ‘clip corner’ style and we offer a stainless steel roller buckle as well. Our brass and nickel buckles are solid brass, the Cody buckle is more decorative and a popular choice. Let us know if you have another style in mind we may have them on hand.